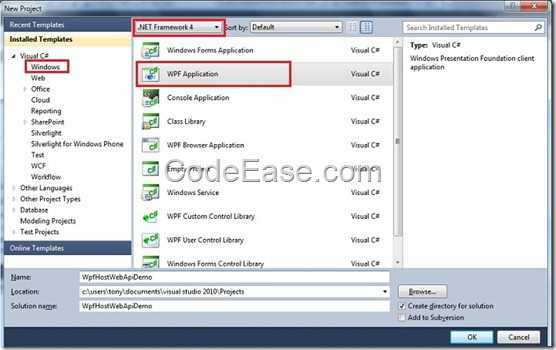 Now WCF Web API changed to ASP.NET Web API. 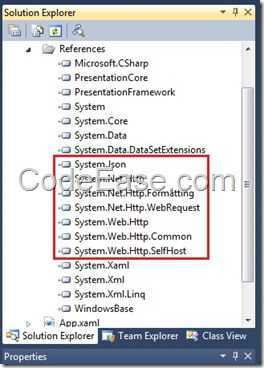 ASP.NET Web API has the feature of self-host. In Microsoft official site, they also provides two simples ASP.NET Web API self-host samples. However, they are so simple and actually they looks like the “same” one because these 2 simples are Console applications and use very similar content. After the MVC 4 stuff installed, we can write the code now. Note: We are using Visual studio 2010. 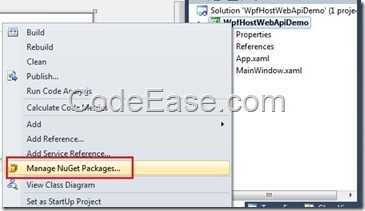 We will use NuGet Package Manager to install ASP.NET Web API Self Host package. 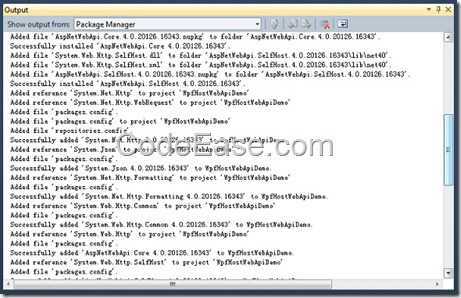 Right click the project name in in Visual Studio 2010, and choose “Manage NuGet Packages…”, If you can not see this item, it means you have not installed NuGet Package Manager for Visual Studio 2010, Please go to NuGet project site to get help information to download and install it. 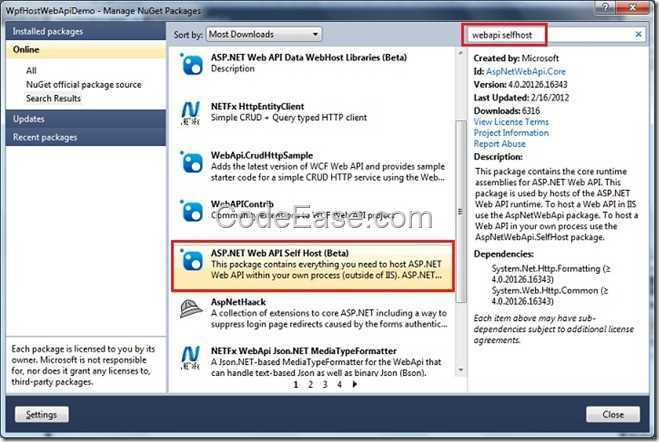 When you open the Manager NuGet Packages Windows, Input “webapi selfhost” in the top right search box, The Manager can search automatically for you, You will see “ASP.NET Web API Self Host (Beta)” (Currently it is still in Beta stage) and click Install Button. After the installation finished, click Close button to close NuGet Package Manager. Now we are ready to star our Web API in current project. In above code, we listen localhost:5477, which you can change the port number to what port number you like. 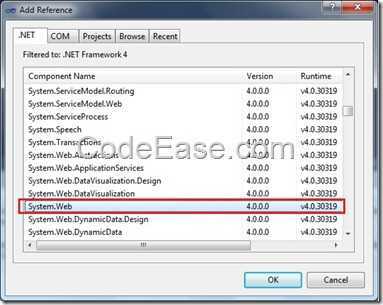 The reason is current WPF project is based on the target framework ASP.NET Framework 4 Client Profile, which miss some libraries, Just right click the project name in Visual Studio 2010 and select property, and change the target framework to ASP.NET Framework 4. After you changed the target framework to .NET Framework 4, Visual Studio 2010 will give you a message that the project need to be closed and re-open, but looks seems the Visual Studio 2010 can not re-load the project automatically, so here you should close Visual Studio manually first, and open Visual Studio 2010 as Administrator again, and load our demo project. The type ‘System.Web.Routing.RouteCollection’ is defined in an assembly that is not referenced. You must add a reference to assembly ‘System.Web, Version=4.0.0.0, Culture=neutral, PublicKeyToken=b03f5f7f11d50a3a’. The type ‘System.Web.Routing.Route’ is defined in an assembly that is not referenced. You must add a reference to assembly ‘System.Web, Version=4.0.0.0, Culture=neutral, PublicKeyToken=b03f5f7f11d50a3a’. Now rebuild again. the build is OK now! 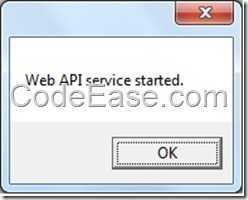 Click Ctrl + F5, you will see the service started message which we added in code. Now we know the Web API service is working! You can create a client to consume the service now. Related Chinese article is Here. I gives some helpful information. But again: The best solution is that you have to re-write a new project using ASP.NET. Here is a video tutorial from Microsoft about “How Do I: Create a Custome Membership Provider” , but you need to install SilverLight witch is also downloaded from Microsoft. 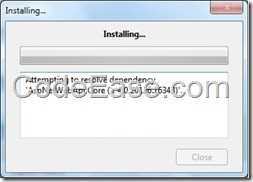 SilverLight is a similar production as Flash, so you only need to download it and quick install for your browser. 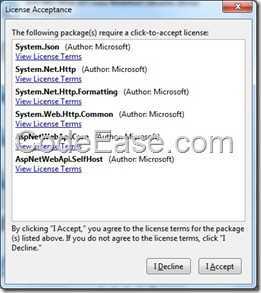 The solution is just set site ROOT folder a READ permission to ASPNET user. because our project deployed on the folder “C:\ABC\Path2\Path3\”, so we just needed to set READ permission for “C:\ABC\Path2\Path3” to ASPNET user. Actually finally we had to reboot server and then got everything work. There are some changes using ASP.NET 2.0 to handle email stuff. 1. System.Net.Mail.SmtpClient is used instead of System.Web.Mail.SmtpMail (obsolete in Dotnet 2.0). 3. 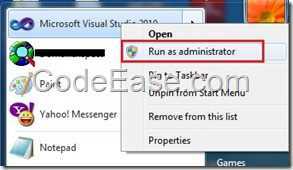 The System.Net.MailMessage class collects From address as MailAddress object. 4. The System.Net.MailMessage class collects To, CC, Bcc addresses as MailAddressCollection.